I haven't made cookies in a million years, and decided to today. I flipped through my Google Reader starred things and found this recipe. Ok, easy! These are interesting because instead of just sticking the raisins in the finished cookie dough, you run them through the food processor and make a paste. Then you beat them in with the eggs, and have super raisiny cookies. Mine were flat and crunchy and chewy all at the same time, but delicious. I like them. Which is good, because this recipe makes like, a billion cookies. Or five dozen, which is a billion in cookie terms. These might be even more delicious if they had mini chocolate chips in them. Preheat oven to 350. 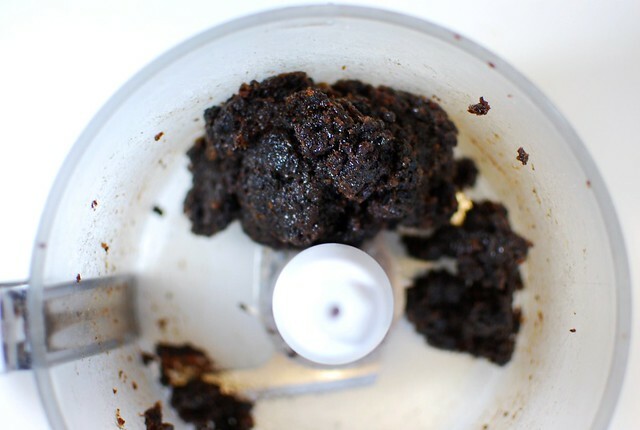 Combine raisins and 1/4 c rice flour mix in your food processor, and pulse until a paste forms. If your raisins are kind of old like mine were, add a teaspoon of water of juice. In the bowl of your mixer, beat the shortening and sugar until fluffy, then add eggs. Beat until well combined, then mix in the raisin paste. In a medium bowl, mix together the rest of the flour mix, oats, xanthan gum, salt, baking soda, and cinnamon. Stir the dry ingredients into the shortening/raisin mix just until combined. Using wet hands or a small cookie scoop, roll dough into balls smaller than a ping pong ball and roll in a small bowl of granulated sugar. Place a dozen to a cookie sheet, and bake 13-15 minutes, until just set and starting to brown around the edges. Repeat with all the dough, then bring cookies to everyone you know, because you will have so many cookies. Yummm! These look really good. 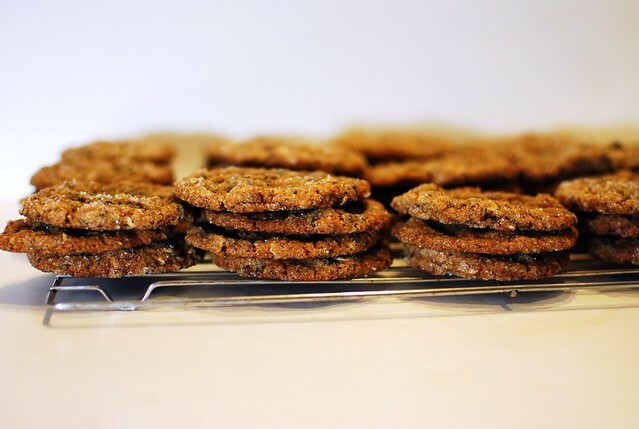 I love oatmeal cookies, and these look especially good. butter instead of the shortening? These look like such a delicious treat! 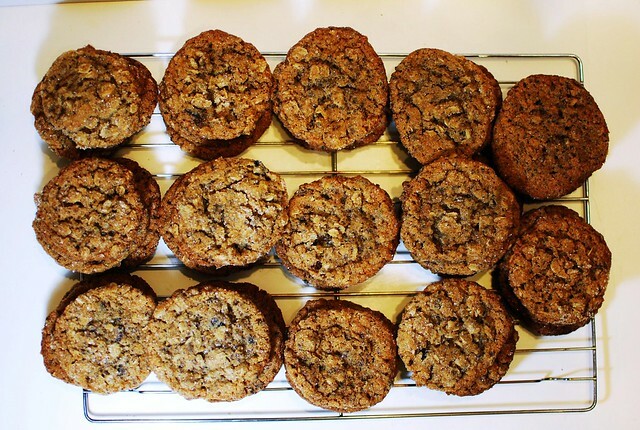 love the idea of the raisin paste- I don't like raisins in my oatmeal cookies, but at the same time I feel like something's missing without them. Genius! Amanda, there's a link at the top of the page for info about flour mixes.